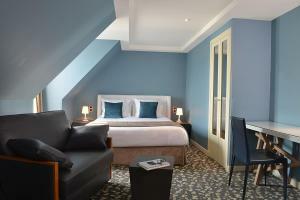 Grand Hôtel Malher is located in central Paris, next to Saint-Paul Metro and a 5-minute walk from the Place des Vosges. 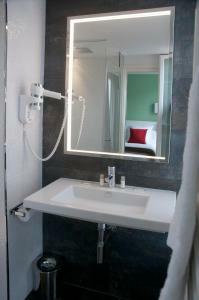 It offers en suite guest rooms with free Wi-Fi. 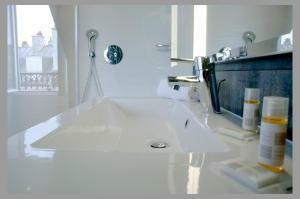 Each of the Grand Hôtel Malher’s rooms has a TV with satellite channels and each bathroom has free toiletries. 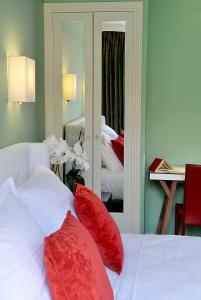 A continental breakfast is available in the morning, served in the hotel’s 17th century wine cellar. The hotel has been in the same family for 3 generations. 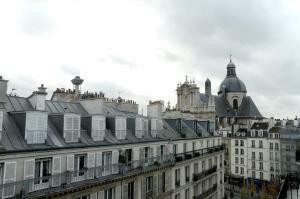 There are numerous restaurants, bars and boutique shops in the surrounding Marais area. 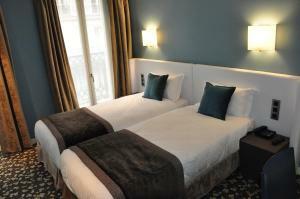 Rue de Rivoli is just 50 metres from the Grand Hôtel Malher and Notre Dame Cathedral is a 15-minute walk away. This room includes a minibar, a TV with satellite channels and a bathroom with a bathtub, a hairdryer and free toiletries. 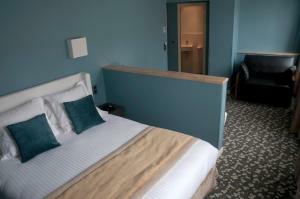 This room includes a minibar, a TV with satellite channels and a bathroom with a hairdryer and free toiletries. 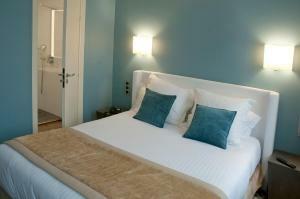 Rate: € 215.00 ... € 255.00; select dates below to get current rates. 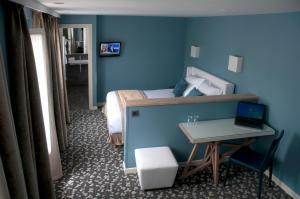 This superior double room features a satellite TV and a mini-bar. 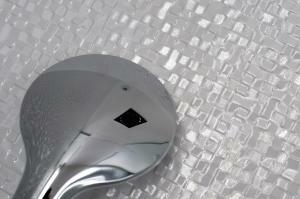 The private bathroom is equipped with a bath, hairdryer and complimentary toiletries. 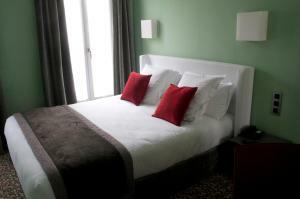 Rate: € 215.00 ... € 225.00; select dates below to get current rates. 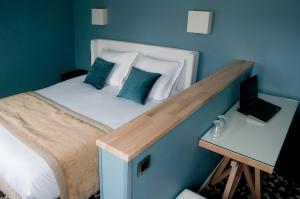 This triple room is located on a high floor and has natural light with 4 windows. It is located on the quiet courtyard of the hotel. 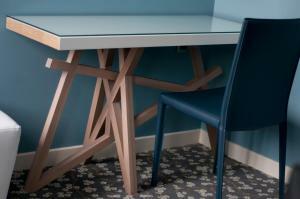 There is cable TV, a telephone and a minibar at your disposal. 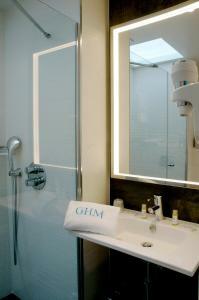 The spacious bathroom has a lighted mirror, towel drying heater and a bathtub. This room has separate WC. This atypical room is located on the 6th floor. 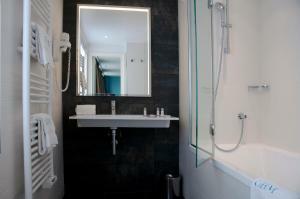 Offering a view of the street and St Paul Church, it features a bathroom with a large shower and separate toilet. 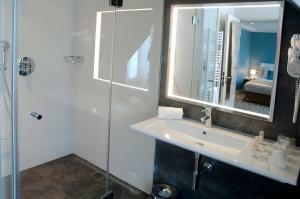 This single room has a satellite TV, minibar and air conditioning. 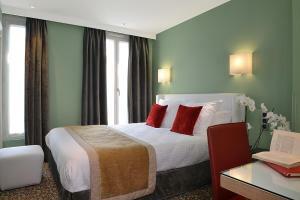 Rate: € 160.00 ... € 255.00; select dates below to get current rates. 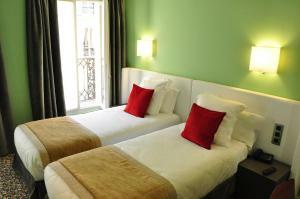 This double room features a minibar, air conditioning and cable TV.